2146 Wisteria St. Baton Rouge, LA 70806. 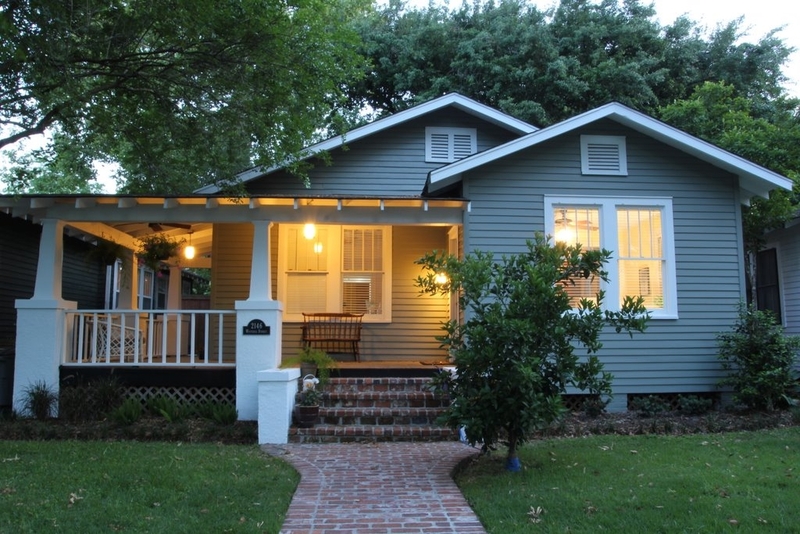 20th Century Craftsman Bungalow with 21st Century upgrades. As you drive to the front of this home you notice the inviting front/side porch. As you enter the front door the beautiful hardwood floors, built-ins, wood burning fireplace catch your eye. Just past the living/dining area is the full service, eat-in kitchen complete with island for food prep. Entertain your guests in the over-sized kitchen area and when the weather is nice open the double doors to the backyard oasis (doubling your entertaining space). The master bath features double sink vanity, claw foot tub, separate stand-up shower and walk-in closet. And the home has off-street parking with garage accessed from the rear alley. A separate door opens from the garage to the back courtyard. The sellers installed an energy saving tank-less water heater and have kept this home in immaculate condition. This home has everything you could want and more in the Garden District-convenient to the dog park, Baton Rouge Gallery and city park tennis and golf.